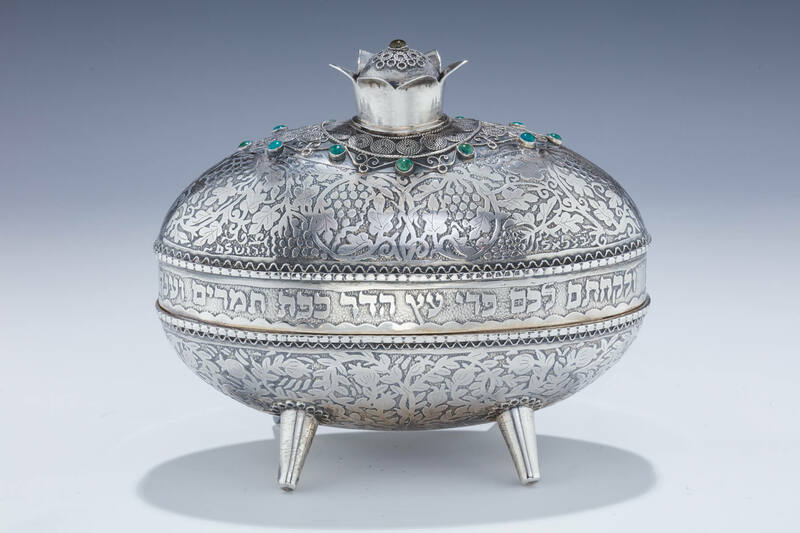 A LARGE SILVER ETROG CONTAINER. Israel, modern. On four legs in the style of Yemini silversmiths. Decorated with applied green stones and filigree wirework. 6.6” long.